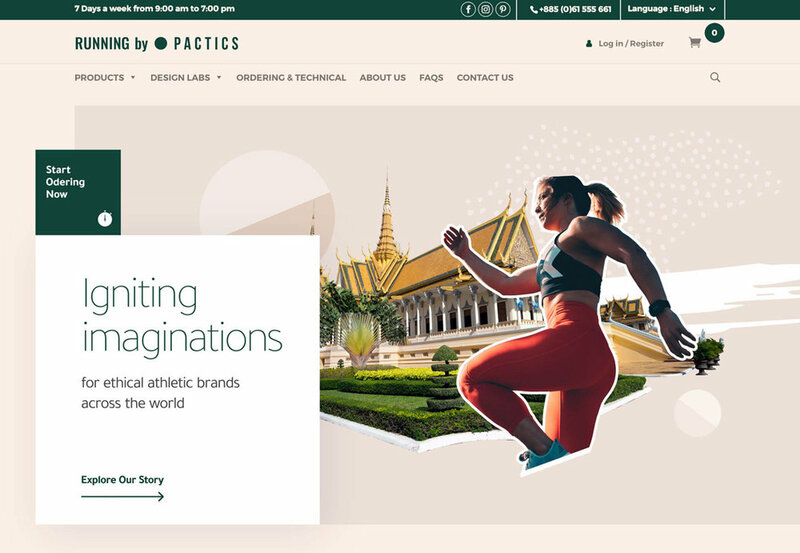 RUNNING by PACTICS, a new adventure by The Pactics Group of Companies, is focused on helping boutique and small sports apparel retailers bring their individual brands to life by providing the ability to graphically customize high-quality activewear. Even more impressive is that they take on this manufacturing challenge in the most socially responsible and environmentally sustainable ways possible. Based in Cambodia with leadership in the Neatherlands and China, I presented the CEO of PACTICS with brand messaging guidelines and a visual style that could be passed along to the internal PACTICS team for production. Met with high praise, I was proud to help a company where the ideas of “responsible garment creation” and “affordable athletic apparel” coexist and thrive. At Running by PACTICS we believe that making quality activewear doesn’t mean having to sacrifice the honor of our employees and environment. In fact, we believe that making sustainably responsible choices puts our running wear strides ahead of the rest. Using our innovative sublimation printing technology and our online design lab, we ignite the imaginations of diverse athletic brands across the world.